Includes phone and battery only. No cables included. Not iCloud locked. 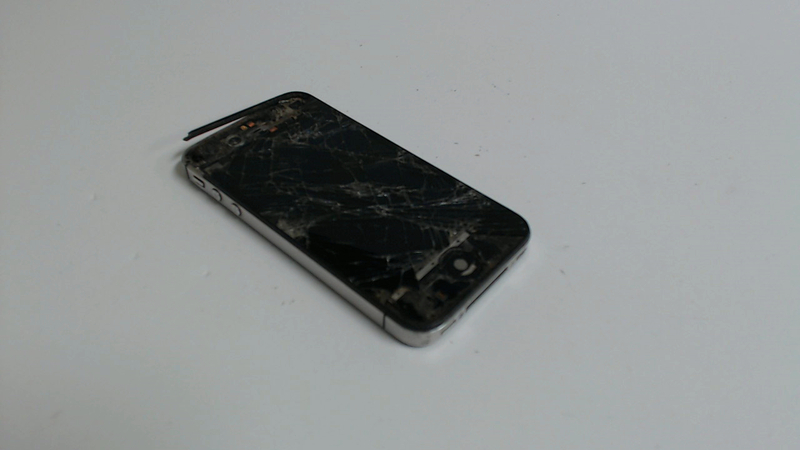 No Applecare. MD146LL/A iPhone 4 Black 8GB Locked to the carrier Sprint with a Clean ESN. The front glass is shattered and missing pieces, does not respong to touch. LCD has pressure marks. Back glass is not cracked but have very deep scratches. The front camera is gummed up/blurry. The home button does not work. The mute button works but is spongy. CDMA. Does not used SIM card. 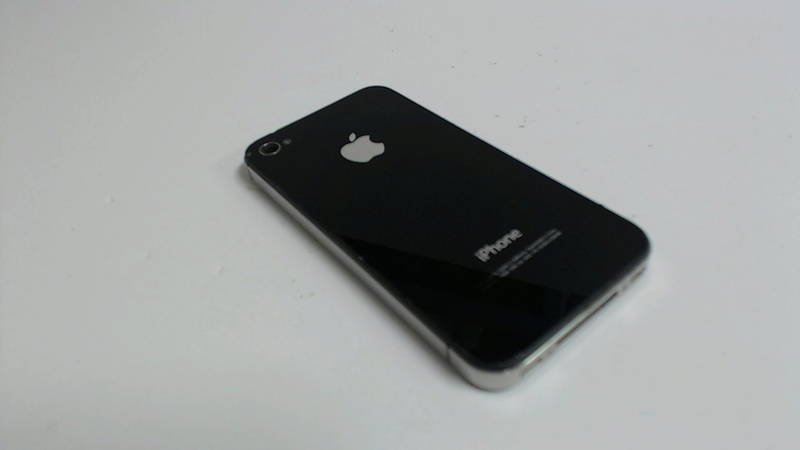 This is an 8GB iPhone 4 in black. This phone is locked to Sprint.